This French counter is a top of the range model, from a Parisian hotel. 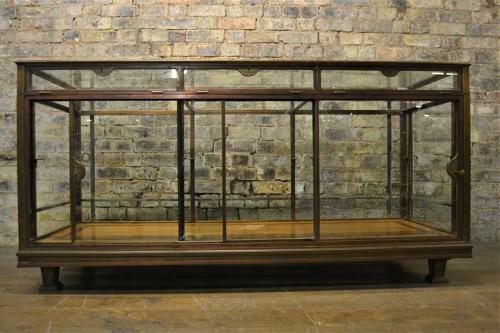 It has two adjustable shelves, and the minor damage to the glass will be restored. It has all new top glass, too.